Although Prime Minister Roosevelt Skerrit is keeping the date of the general election close to his chest, the two main political parties here have been moving their election campaign into high gear. One gets the impression that as soon as Lent is over the real "party" may begin. One party, the Dominica Labour Party, has named its team of 21 candidates and the main opposition says it will wait to do the same when Prime Minister Skerrit announces the date for the elections. 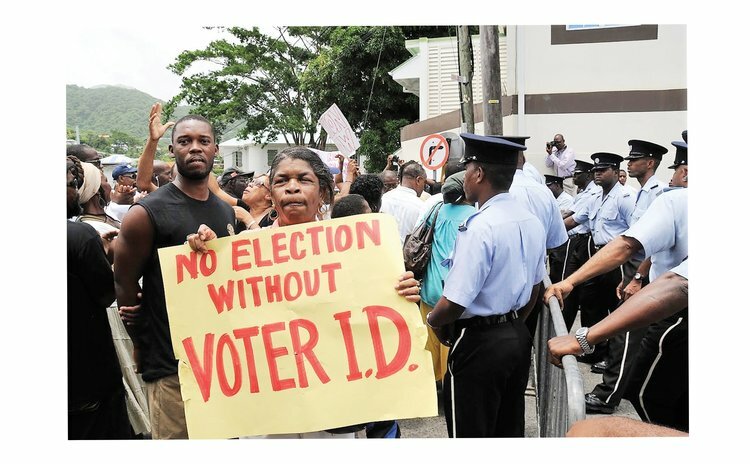 Already the mespuis and back-stabbing have started (in fact it has not stopped since the election campaign of 2014) and both the Dominica Labour Party (DLP) and the United Workers Party (UWP) have been throwing heavy punches at each other. The UWP says the DLP has been playing dirty and that "Workers" have decided to take the moral high ground; but we believe it's a matter of time before the UWP starts hitting back. Politics is a dirty game, they'll realise, and not for the kind-hearted; furthermore, there's no indication that nice guys win elections in these parts of the world. The electorate will just have to learn to sift through the political garbage, no matter how much it stinks. Most importantly Dominicans have to decide about their future, where are we going during the next five years and which team of politicians has the vision, track record of performance in and out of government, and the integrity to take them to progress and prosperity. During the campaign candidates must inform the electorate about their plans to reduce un-employment especially among the young, how they hope to fight growing crime, revive agriculture and how they intend to construct and manage the infrastructure all Dominican communities need so badly. Almost everyone repeats the cliché at one point or another – a promise is comfort to a fool. Yet many forget this wise statement as the politicians, who are now battling to remain in or to gain power, become increasingly outrageous with promises which often transcend reality. We have been bombarded with these promises in the press every day for the past few months and as the political climate becomes stormier the promises will become wilder. Although there have been, over the past few decades, many broken promises, failed projects, economic disasters and excuses followed by excuses that insult the intelligence of the electorate, the outrageous promises continue. Hence, many electors now question whether it is sensible to vote at all. The proportion of undecided voters is become larger as people get more and more disillusioned with party politics. But we have been advised that mass abstention at the polling station provides lop-sided representation and that a well-balanced parliament makes better decisions for the overall benefit of the country. The contents of manifestos of the two major political parties will not be revealed for a few months but we do not expect any surprises when they are eventually published. Apart from the urgency for building an international airport, the major plans and programmes of the political parties are similar. It has to be because there are so few options available for the development of Dominica. Recently, the UWP raised eyebrows when it promised to deliver 3000 jobs in three years and generate growth of the Gross Domestic Product (GDP) of about six percent annually. But these promises may be difficult to keep because of the number of challenges the government will encounter along the way. But the electorate has a difficult choice because the ruling party has not convinced independent voters that it will not preside over business as usual for another five years as it has done for the last 19. If doing the same thing and expecting different results, according to renowned physicist Albert Einstein, is a sign of a disturbed mind, then our government, for two decades, have been raging mad. Realistically, whoever wins the next general election will face serious challenges as far as improving the economy is concerned. And, to quote a leading opposition politician, the government, whether it is UWP or DLP, will need a resounding victory to be able to push through parliament tough policies if the economy is going to improve. But then the Skerrit Administration with an 18-3 majority has made so few bold decisions required in an economic crisis that this argument may not apply to a DLP government. A few of the challenges that any government will face over the next five years are the sluggishness of the agricultural sector, the country's large debt burden and the under developed tourism industry. Nevertheless, those of us who are old enough to have lived through several general election campaigns know that there are oceans of space between campaign promises and the reality of governing. We have been reminded of statements uttered by prime ministers who having just been elected complain that the previous administration mismanaged the economy, raped and plundered the Treasury and therefore their grandiose plans have to be shelved, usually till the next campaign period. Therefore, it is up to the electorate, through civil society and the press, to demand realistic plans and programmes during the election campaign from the political parties. The politicians, on both sides of the political spectrum, who are prone to wild promises must understand that the public will hold them accountable for these promises and this time the public will accept no excuses.